Abnormal Returns asks “If value investors are the “grown ups” of the investment world, why aren’t their returns better?” and links to a great Aswath Damodaran paper “Value Investing: Investing for Grown Ups?” in which Damodaran examines the reasons why over an epic 77 pages. I’ll deal with Damodaran’s passive screeners today, the contrarian value investors tomorrow and the activists later this week. The lowest price to book value stocks earned 6.24% more, on an annualized basis, than the high price to book stocks across the entire time period (1927-2010); they continued to earn higher annual returns (5.44%) than the high price to book value stocks between 1991-2010. And value works all over the globe. 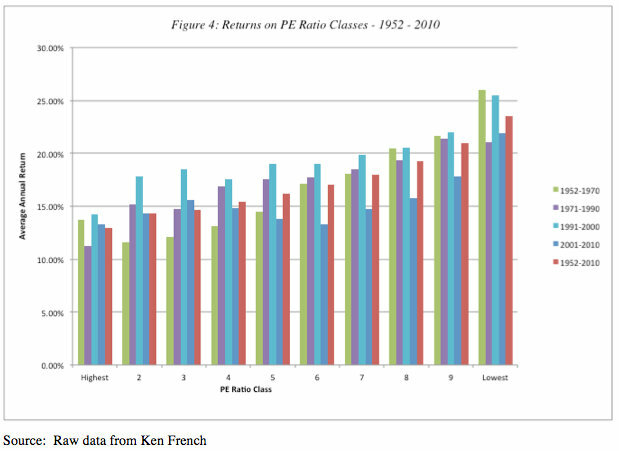 Damodaran asks if all we have to do to earn excess returns is invest in stocks that trade at low multiples of earnings, book value or revenues, why do value investors underperform? • Time Horizon: All the studies quoted above look at returns over time horizons of five years or greater. In fact, low price-book value stocks have underperformed high price-book value stocks over shorter time periods. The same can be said about PE ratios and price to sales ratios. • Dueling Screens: If one screen earns you excess returns, three should do even better seems to be the attitude of some investors who proceed to multiply the screens they use. They are assisted in this process by the easy access to both data and screening technology. There are web sites (many of which are free) that allow you to screen stocks (at least in the United States) using multiple criteria.19 The problem, though, is that the use of one screen may undercut the effectiveness of others, leading to worse rather than better portfolios. • Absence of Diversification: In their enthusiasm for screens, investors sometimes forget the first principles of diversification. For instance, it is not uncommon to see stocks from one sector disproportionately represented in portfolios created using screens. A screen from low PE stocks may deliver a portfolio of banks and utilities, whereas a screen of low price to book ratios and high returns on equity may deliver stocks from a sector with high infrastructure investments that has had bad sector-specific news come out about it. In 2001, for instance, many telecom stocks traded at a discount on their book value. • Taxes and Transactions costs: As in any investment strategy, taxes and transactions costs can take a bite out of returns, although the effect should become smaller as your time horizon lengthens. Some screens, though, can increase the effect of taxes and transactions costs. For instance, screening for stocks with high dividends and low PE ratios will yield a portfolio that may have much higher tax liabilities (because of the dividends). • Success and Imitation: In some ways, the worst thing that can occur to a screen (at least from the viewpoint of investors using the screen) is that its success is publicized and that a large number of investors begin using that same screen at the same time. 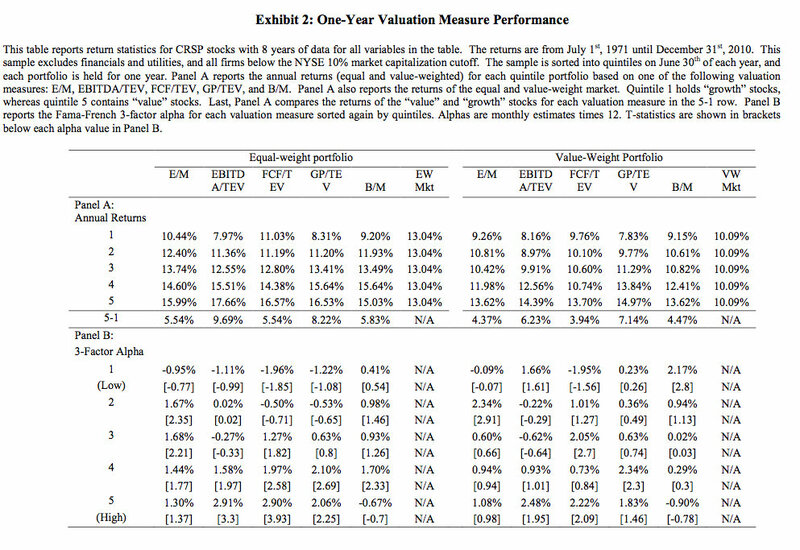 In the process of creating portfolios of the stocks they perceive to be undervalued, they may very well eliminate the excess returns that drew them to the screen in the first place. Tomorrow, the contrarian value investors.